Wherever possible, teach students to be open to taking managed risks. This will put them in an awesome frame of mind when it comes to thriving outside of the school environment. It can be the little things that matter! Science doesn’t have to be about the big experiments, use microscopes and close observation of small objects as well. Its ok to share failures and to ask questions from your colleagues. It’s the power of the collective that transforms education. 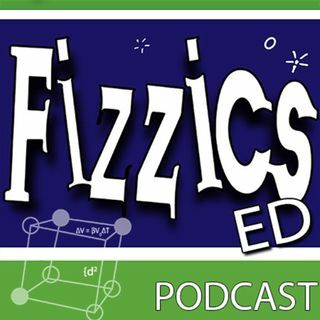 Hosted by Ben Newsome from Fizzics Education About Margaret Shepherd Margaret Shepherd has been a science teacher in NSW Catholic schools for more than 20 years. She is the current president of the Science Teachers Association of NSW after many years of service since 2000. She sees the role of the science educator as fundamental in engaging all students in the world of science and a future involving STEM careers. Margaret is passionate about supporting teachers in their core work of improving the creative and critical thinking of students in all regions and educational sectors of NSW. She has been recognised for her contributions to science teaching receiving the Executive Director’s Award for Excellence in Teaching in 2004; Award to attend Science at the Shine Dome 2006, a citation for leadership in professional development and curriculum innovation in 2001, STANSW Distinguished Service Award in 2004 and PTC Outstanding Professional Service Award in 2005, nomination for Prime Ministers science teaching award, STANSW Life membership in 2014 and PTC Exceptional Service Award in 2017. Margaret has recently completed her Masters in Educational Leadership and is currently working as a regional leader of learning for 16 schools in south western Sydney and lecturer at ACU for pre-service secondary science teachers. Know an educator who'd love this episode? Share it!If something grabbed your attention in this STEM podcast please leave your thoughts below.